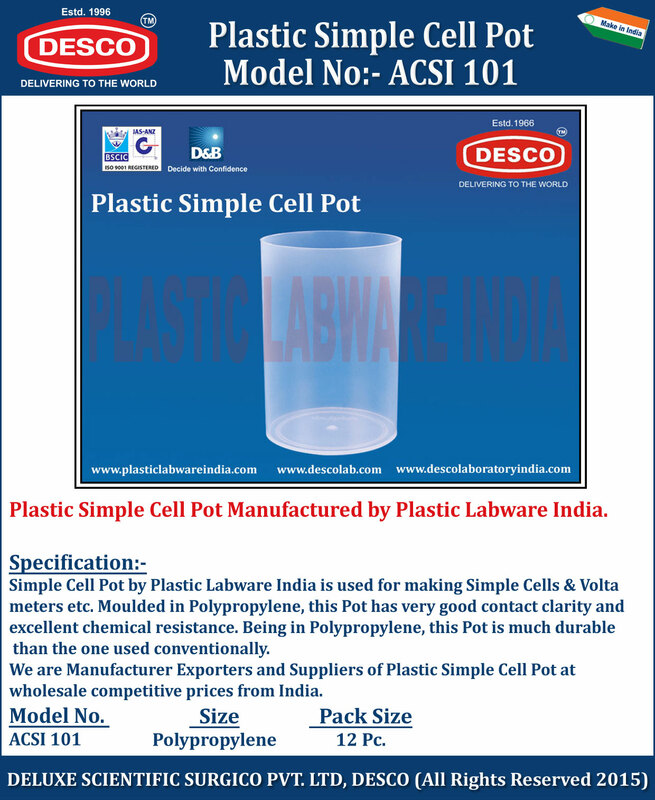 Simple Cell Pot by Plastic Labware India is used for making Simple Cells & Volta meters etc. Moulded in Polypropylene, this Pot has very good contact clarity and excellent chemical resistance. Being in Polypropylene, this Pot is much durable than the one used conventionally. We are Manufacturer Exporters and Suppliers of Plastic Simple Cell Pot at wholesale competitive prices from India. ACSI 101 Polypropylene 12 Pc.